1. 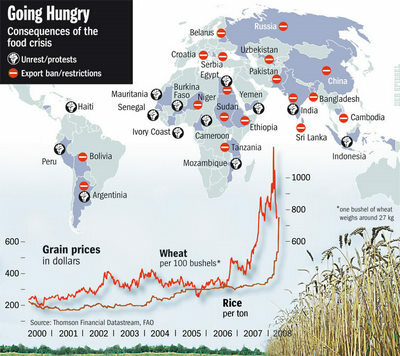 Where is your food produced? 2. What percentage of your income goes to food? 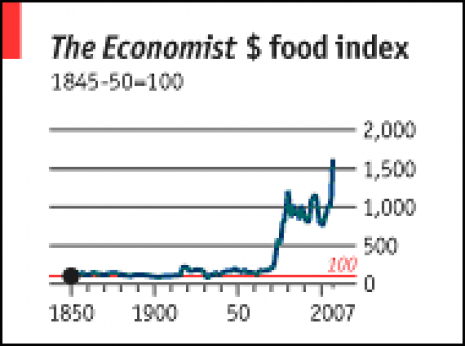 The Economist food index, created in 1845, reached its highest level ever in 2007. 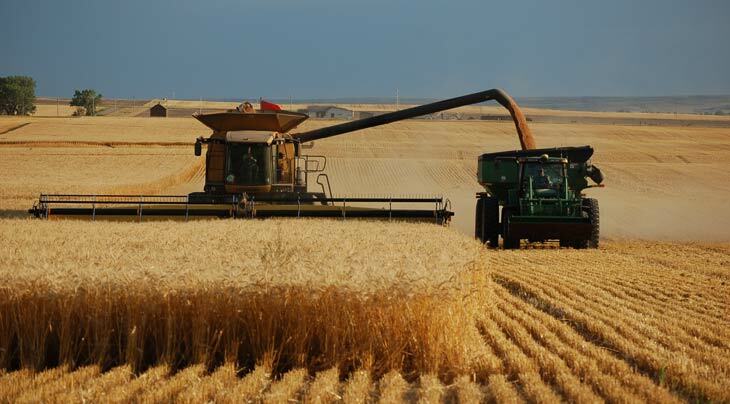 Reversing a 150-year trend of decreasing food prices as capitalism drove peasants and small holders off the land and proletarianized them into cities -- requiring affordable food for the reproduction of labor power, food prices have been climbing even despite bumper harvests of staples like wheat. • Was first domestically grown in the Fertile Crescent and Nile Delta as early as 9,000 years B.C.E. 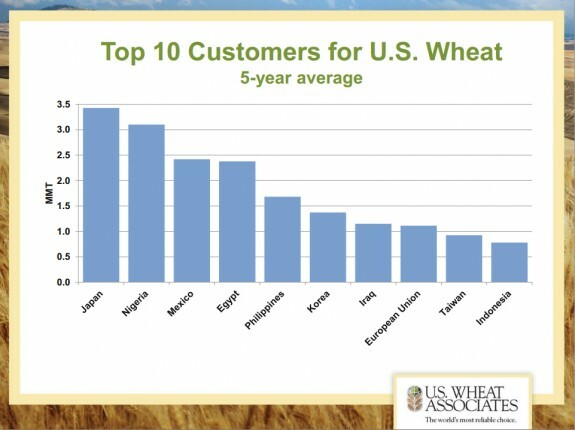 While China, India, and Russia produce more wheat, they have massive domestic consumption, and the U.S. is the world's #1 exporter. • In a 2012 survey of consumers in 15 cities by China Market Research Group, they found food and product safety were the respondents #1 concern; the solution: eating at restaurants like McDonald's and Kentucky Fried Chicken, shopping at bigbox supermarkets like Carrefour, and buying IKEA furniture because "they believed it would use good-quality glue and varnish"
In 2014 the contract for the 29 West Coast container ports will expire and the Pacific Maritime Association is going to demand the same concessions that the Northwest Grain Handlers Association achieved at Longview, and are presently trying to achieve with the lockouts in Portland and Vancouver, Washington. Longview grain-handling longshore workers have demonstrated their willingness to fight back. Other longshore workers in at least 5 others ports (Anacortes, Everett, Seattle, Tacoma and Portland) wildcatted in solidarity on September 8, 2011 to back up their sabotage of Longview grain trains. Longshore workers have some of the highest industrial wages in North America, so they have a lot to lose. They recent disaffiliation from the AFL-CIO might have something to do with preparing for the immanent class war on the docks as management tries to undo the gains won in the 1934 coastwide strike, that led to the successful 4-day San Francisco General Strike. On August 19, 2013 troqueros, the short-haul port truckers who work side-by-side with longshore workers, wildcatted at the Port of Oakland . If those two sectors -- along with the railroad brotherhoods and maritime workers -- can act with class unity and solidarity, things could get really interesting in 2014.